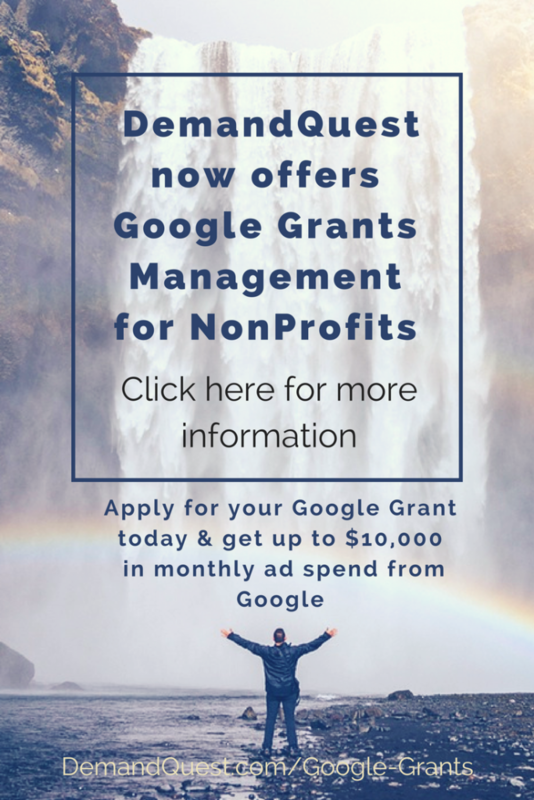 Google Grants for Nonprofits is an incredible program in which Google provides free Google AdWords advertising—up to $10,000 USD per month—on Google search result pages, to eligible nonprofit organizations. The program is designed to help organizations extend their public service messages to a global audience to make a greater impact on the world. Apply to Google for Nonprofits. Governmental entities and organizations, hospitals and medical groups, schools, childcare centers, academic institutions, and universities are not eligible for Google Ad Grants, but philanthropic arms of educational institutions are eligible. Ad Grantees found in violation of any of these guidelines are subject to removal from the program. Google reserves the right to grant or deny an organization’s application or participation at any time, for any reason, and to supplement or amend these eligibility guidelines at any time. Selections are made at Google’s sole discretion and are not subject to external review. Please note that if you are a school, government agency, or health care organization, you’re not eligible for this program. Schools have a separate portal for free Google money: Google for Education.